“Stirb nicht vor mir // Don’t die before I do” is uniquely different compared to Rammstein’s other songs. It is dominated by clean, arpeggiated guitars, with no distorted guitar to be found on the track. “Stirb nicht vor mir” is a duet, featuring Sharleen Spiteri from the British band Texas on vocals along with Till Lindemann. Till sings in German as usual, but Sharleen’s lyrics are in English. Amazing song, but I wonder; what’s it about? I kinda know, but not really. I love this song exactly as it is written and recorded! I’m sure German speaking fans would like a version sung completely in German, but I think this is a beautiful song that clearly shows the diversity of the band’s talents. There’s a leaked demo of this song on youtube. It’s all in German, has slightly different lyrics giving a sadder tone, and it’s only Till singing. Personally, I wish this version were released instead of what was on the album. Video has lyrics in both German and English. I believe this song has elements of a still born baby in it. The first verse is self explanatory if you see it from that perspective. I then think it also goes on to express the trauma of the event ‘with his hands around my neck.’ Then possibly the parents commit suicide in a suicide pact together? that was Exactly my first thought as well. I’m really surprised that nobody said…. I like this song a lot. I like this song, not so much R style but very, very nice,like mentioned by some before the transcendent energy somewhat surounds it.Its great to read how people understand the song,in their own way.The title is very profound it has big impact on me,the melody is simple but very nice and ambiental and both vocals are great,they complete each other, making the song full. Well…a really good band that goes without saying. Not their best song but it’s really good. It’s just different and unique ect ect. I like hearing a song or two like this every now and then. It’s refreshing to know that a big German rock/metal/loud noise band can make a soft slow and peaceful song. I don’t want nor do I excpect them to make a lot more like this but, like I said, I like the change. For me it´s about a child wanting a mother and a woman´s dream of having a son. They dream of each other. 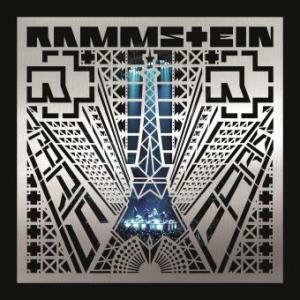 the ONLY Rammstein song I never EVER listen to. It’s just dreadful, I mean, what were they thinking? I Think the Song is Beautiful..and Flake Does Not need to worry the English Version is Good..Would Love to Here it with a German lady Singing the Part of Sharleen,,But carn’t seem to find the One Mentioned With Bobo.. This song this is the best. I love crusing in my truck listening to song. amazing. Worst song Rammstein has ever made. I must say that I was kinda shocked when I suddenly heard this woman singing in english the first time. I’m with Flake on this one. I agree whole heartedly…that’s how I see it as well. A love that transcends time and space…that haunts your soul as you pass through the ages. Another song, with this theme… you may enjoy is ‘Somewhere’ by Within Temptation. I’m not quite sure why some don’t like the English version. I think that version is amazing. I would say it was about two people who are soulmates, but will likely never meet, as they live in different parts of the world. The singer is british, but in my envisioning, the character is an American, therefore having an ocean to seperate the two soulmates. It’s a sad song about love never found. I love this song too. I think that its interesting that (it seems to me, anyway) they made the woman the one to save him, since he is waiting for her, and not the other way round. I also like the fact that it is in two languages – like it possible for love to transend not only time but distance, etc. UM yeahhhhhh… I found this person and i wish i didnt because he is a total SACK-licker!!!!! I still like the song tho- it rocks out. rammstein speaks to my soul. ok question if this song actually became true in the way that you dream about a person you have never meet and then one day you go to help your sister out by working at this sport club and you meet the guy that has been in your dreams and you go after them then on ur 2 days after ur 6 mnth anno they break up with you and your deeply in love with them do you wait for them to return to you? Exactly. But, in this case, they literally mean that they won't stop waiting or looking until one of them is dead, but until one of them dies, they won't. Hence the title "Don't Die Before I Do". this song is beautiful. for me, it is about knowing that the person who has haunted your dreams is really out there somewhere but you can't find them…you feel them because they are a part of you and hopefully, this time, you will find them. this love transcends time. The Songs title is Translated wrong on this Sight! It’s translated “Don’t die before i DO! Again can someone tell me the meaning of this song. Some of these songs r very confusing.